By adopting a ‘pull-based’ strategy as opposed to a ‘push’ in collaboration with Vector Consulting Group, Centuryply has ushered a paradigm shift in its operations. What exactly does the theory of constraints entail? The ‘Theory of Constraints’ proposed by Israeli management guru Eliyahu Goldratt is defined as a powerful yet simple management philosophy that suggests that system constraints limit performance. He proposed five ‘focusing steps’ to identify and manage these constraints so that organisations could continuously improve. Though accurate, this description does not capture the true essence of the theory, the origins of which are derived from principles of hard sciences. Even as there is an ongoing debate about whether managing an organisation is an art or science, Theory of Constraints assumes that it is possible to apply the principles underlying the development of hard sciences like physics in organizational management. What was the rationale behind the Company’s decision to extend to this space? Emerging trends offer unprecedented opportunities. In view of this, the Company selected to transform its strategy from ‘push-based’ to ‘pull-based’. The Company’s broad objectives comprised the following: increase SKU availability while moderating inventory, strengthening responsiveness to changing supply-demand dynamics. This is precisely what the Company succeeded in achieving. The Company also forged meaningful associations with the carpenter and contractor communities through a loyalty programme called Century Pro Club (launched across select markets in April 2018). How crucial was it for Centuryply to forge an association with Vector? To transform ‘push’ to ‘pull’, Centuryply needed to implement large changes. This entailed collaborating with shop floor personnel, sales team members, marketing team members, IT team members and supply chain associates, among others. The Company needed a competent implementation partner like Vector. Vector pioneered the implementation of these solutions in sectors like automobile and auto components, engineering processes, retail and consumer goods, textile, equipment manufacturing and engineering and construction. There was a challenge in aligning and integrating stakeholders to the common cause of addressing changing market realities without affecting major processes. As a means to this end, Centuryply revamped its IT platform and institutionalised a colour-coded daily replenishment system at the factory to track raw material requirements, output levels and dispatch details. All these pieces fell into place and Centuryply improved marketplace product availability. What were some of the corrective measures? 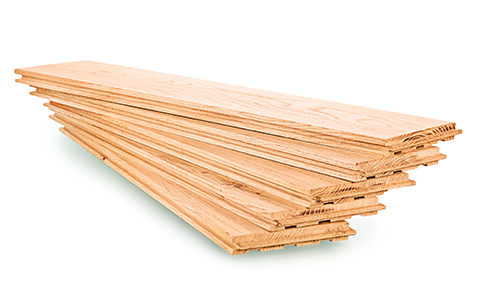 The pull-based system inter alia, with farsighted fine-tunings done at the production planning level, allowed Centuryply to liberate capacity, increase throughput and enhance round-the-clock product availability across categories. The biggest change, however, was visible in employee mindset. The Company expended time and resources to explain to them Theory of Constraints. Few were initially sceptical, but when they perceived improvements, they engaged with enthusiasm. What transpired as a result? Availability increased across product groups. Owing to assured availability, sales improved. By producing only what was sold, inventory was optimally maintained. Going ahead, we intend to ensure ~100% availability of the entire product range across sales points. We aim to reduce logistic costs 1-2%, reduce inventory days 20% and reduce the working capital cycle 30%. As an extension, we expect to generate far more output from existing capacities and ~50% improvement in ROI for our dealers and distributors, strengthening the core of our business model.